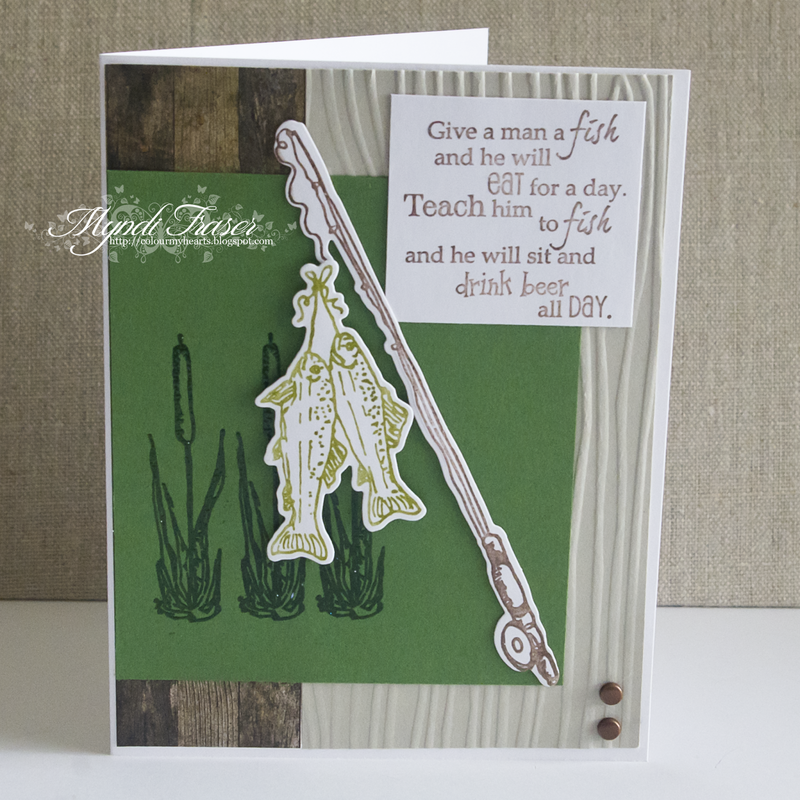 Today I am using a new stamp and coordinating die set from Rubbernecker called Fishing 1 and Fishing 1 Die Set. 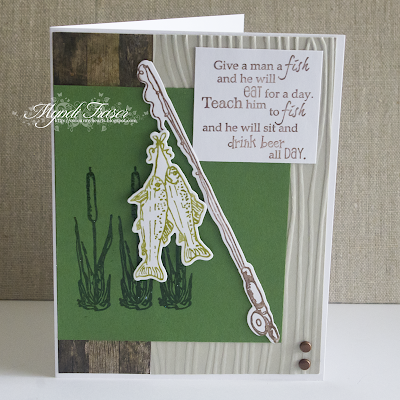 I have a little fisherman in my life who absolutely doesn't drink beer, but he'll like the fishing theme and there are other sentiment stamps in this set for the little fishermen out there. 😉 The wood paper is from Tim Holtz, the wood grain embossing folder that I used is from Stampin' Up. Stop by the BLOG and check out our new challenge on Tuesday, March 28. There are some great prizes to be won. These new clear stamps and coordinating die sets are just awesome so head over to the STORE and check out all the new releases. There are only a limited amount in store! For the Rubbernecker Sweet Sunday post, I used new photopolymer stamp and die sets to build a little scene for my card. 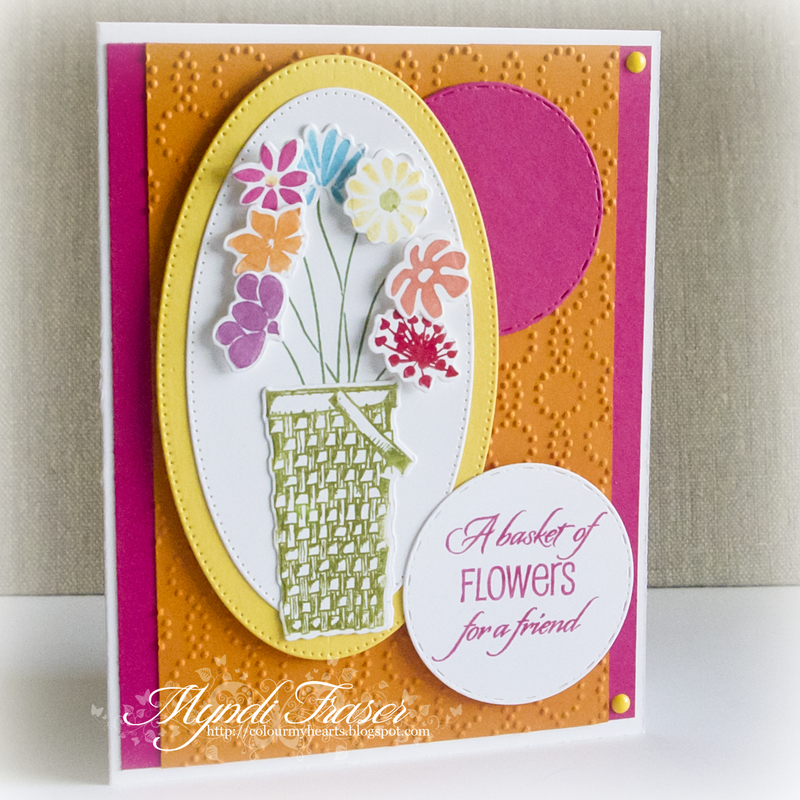 I really love these stamps and the versatility they have to do what I did for this card. This stamp set is KKCS Outdoor Master and the Outdoor Master coordinating die set. and the Happy Birthday set #3031. 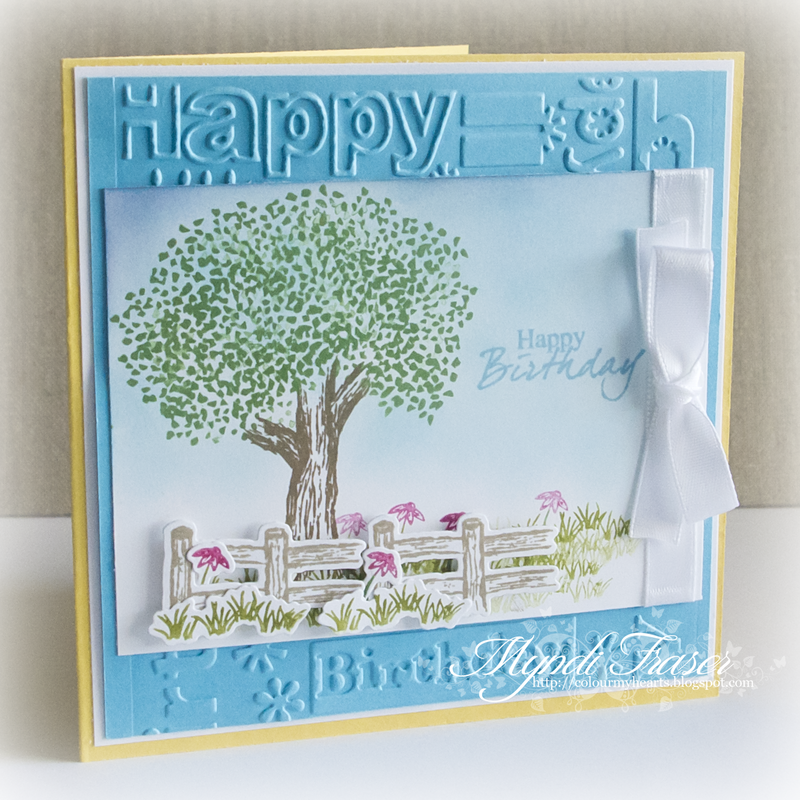 You can see that I stamped in grass and flowers at the base of the tree before I added my fence. 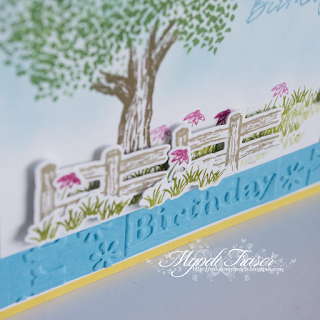 Here is a close up of the fence, the flowers and grass that I added in front of the fence die cut. I'm really happy with how it turned out. I did the sky with a couple of blue shades from the Tim Holtz distressed ink collection, then I stamped the sentiment with the same shade of blue. This was a lot of fun! Stamping the scene then using the dies and more stamps to add some dimension to it really makes it pop. 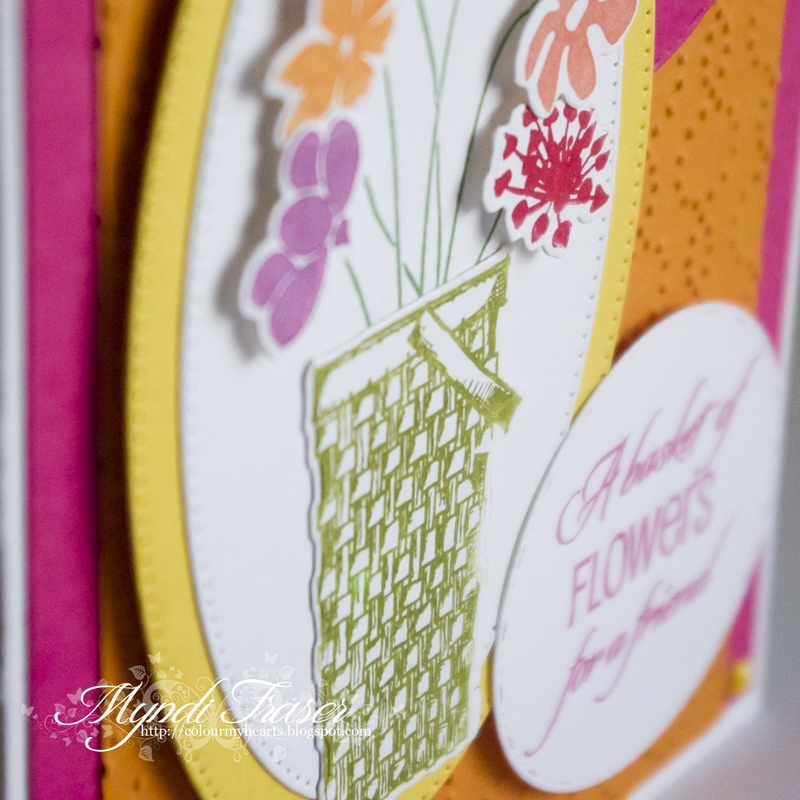 I am totally going to do this again, but I think I might incorporate some heat embossing to give it more texture. And I am definitely going to try it in some fall colours. How pretty would that be?! We started a new Rubbernecker challenge this week on the blog, so make sure you pop over there and see what the theme is. The prizes are pretty awesome: a $25 GC for the 1st prize and a $15 GC for the 2nd prize. Today I have a card that I made with some new photopolymer stamps and coordinating dies from Rubbernecker Stamps. 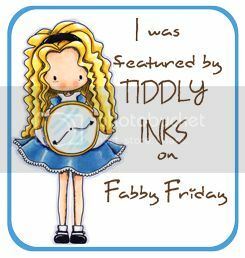 They are brand spankin' new and this is a sneak peek for all of you who love Rubbernecker; these new clear stamps and dies are not even available in store yet. Sorry to tease you, but I couldn't wait to make something with them! They don't have a name yet. They are simply numbered #3008 and the coordinating dies are 3008D. I used all the individual flowers that are in this stamp set instead of making a bouquet of just one type of flower. It will give you a better idea of what you get in the collection, and how it looks stamped out. I used foam dots to make the blooms rise off the page a bit. Even the basket is a die cut. 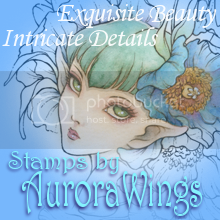 It's a really fabulous set of stamps and the dies are a great quality. I hope you like these as much as I do. Hopefully they have them in store very soon. I am itching to get my hands on some more, but there were just a few of them released to each of the DT so we could start playing and spreading the word about them. Make sure you are signed up for the newsletter so you are getting all the latest news (like when these hit the store!!). You can sign up at the bottom of the homepage screen. We are starting a new Rubbernecker challenge this week on the blog, so make sure you pop over there and see what the theme is this week. It starts tomorrow, Tuesday, March 14. The prizes are pretty awesome: a $25 GC for the 1st prize and a $15 GC for the 2nd prize. 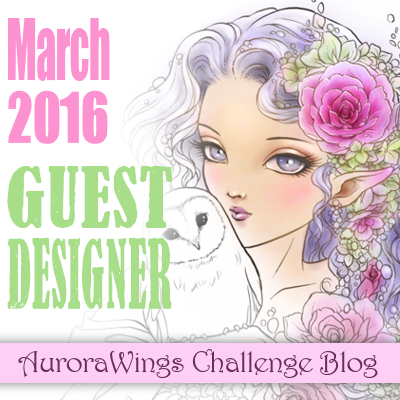 It's time for a new challenge at Aurora Wings and the theme is "Sprite Delight IV". There is also a FREE new Pansy Sprite image available for the duration of this challenge, just visit the challenge blog to get your copy. 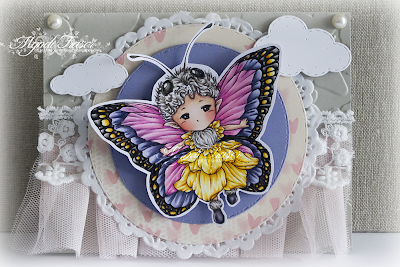 I used Butterfly Sprite Fancy Wings for my card and I went a little shabby chic with the design. For this challenge you have to use an Aurora Wing sprite, but not the sprites with the "big eyes". I coloured the image with Copics (V20's, RV10's, Y38, Y17-Y11, W's). 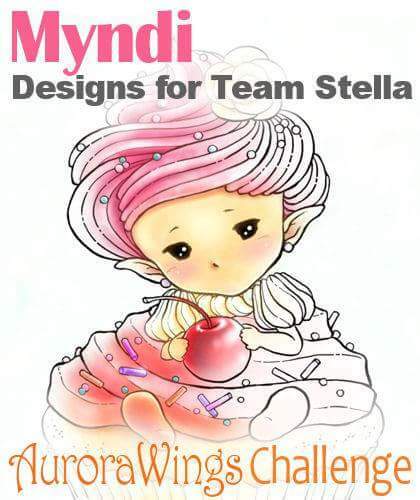 Please stop by the Aurora Wings Challenge Blog to see what amazing projects the other DT ladies have created for this challenge. I assure you they will blow you away when you see them. And pop down to the bottom and enter your own creation for a chance to win. There will be 1 (one) Artist's Choice Award Winner to be selected from entries using Aurora Wings digis ($20 GC and Badge); 1 (one) Random Winner ($20 GC); Top 3 Winners to be chosen by the DT ($10 GC and Badge). The challenge rules can be found HERE. It's Team 1's Sweet Sunday at Rubbernecker Stamps, and today I made a card with the watercolour stamp "Blooming Poppies" and the "Distress Oval" stamp. I kept the design CAS. The stamps are pretty big and I did not want to crowd the card with a sentiment. This card is 5.5" x 4.25". 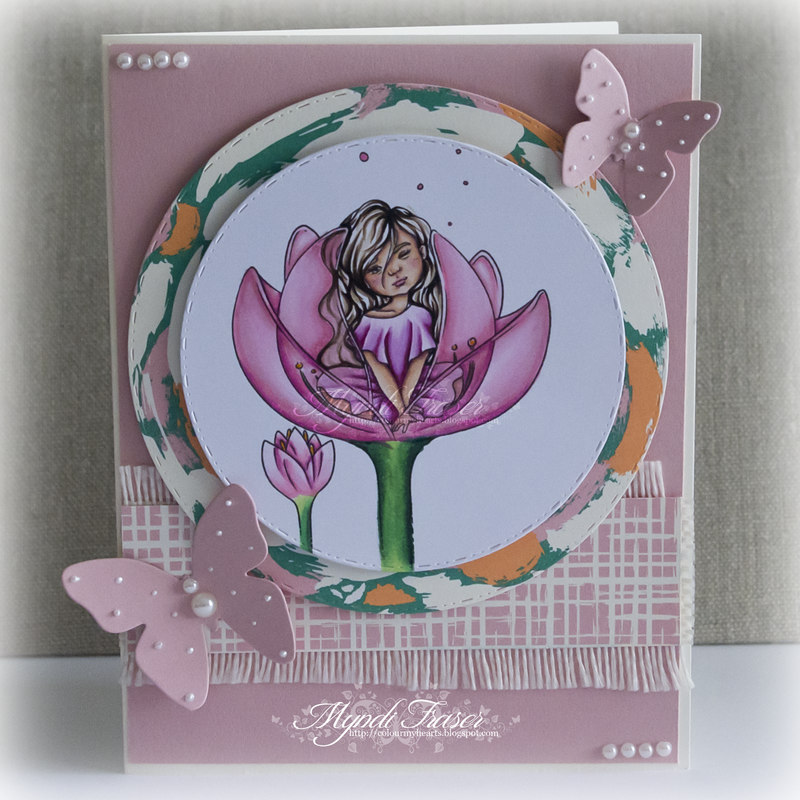 The watercolour stamps from Rubbernecker are multi piece stamps. 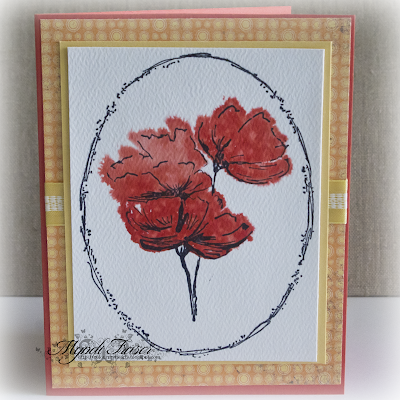 Blooming Poppies is a two piece stamp: the outline and the petals of the flowers. I stamped the outline of the stamp first with black Ranger Archival Ink., giving it a few minutes for the ink to dry. Then I used Calypso Coral ink from Stampin' Up for the flower colour stamp. I misted my watercolour paper, then inked my stamp. I sprayed my inked stamp with one spray of water and then put it on the damp paper. I held it down for about five seconds to give the colour time to set and then lifted the stamp. Voila! I finished it off with the Distress Oval stamp to give it a frame. We are starting a new Rubbernecker challenge this week on the blog, so make sure you pop over there and see what the theme is this week. It starts tomorrow (Tuesday, February 28). The prizes are pretty awesome: a $25 GC for the 1st prize and a $15 GC for the 2nd prize. 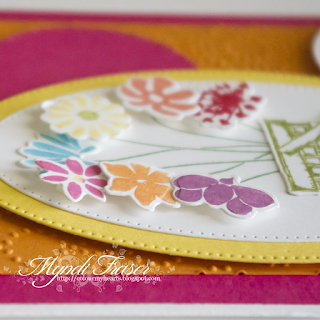 Today I am bringing you a card I made with the free March image for newsletter subscribers from The East Wind. It is called "Bloom with Spring Sunshine". It's a bit of a part 2 of February's freebie image. I coloured the image with Copics. The DP is from Stampin' Up, the butterfly and circle die cuts are from By DieZyne. I don't think you can get those dies anymore, which is a shame because they are really nice, but I'm lucky I got them before they went out of circulation. Make sure you pop over to www.theeastwind.com to sign up for the newsletter if you aren't already, so you're not missing out on that free image every month. Look for the bright pink box on the right side.